I have more than fifteen years of experience of taking instructions from Solicitors and writing medical reports in accordance with Court Procedure Rules. 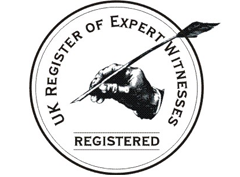 I have attended brain-storming sessions on medico-legal report writing (Temple Chambers, London February 2000) and I am a vetted professional member of the UK Register of Expert Witnesses. In January 2014 I successfully completed the Bond Solon Civil Procedure Rules Expert Witness Course and was duly certified. I take instructions on Elective and Emergency Plastic Surgery Procedures including lacerations, soft tissue injuries, cuts and bruises, burns, sprains etc. I have a special interest in Hand Surgery and I hold the European Diploma in Hand Surgery. I am on the specialist register as a hand surgeon. I welcome instructions on all aspects of Plastic and Hand Surgery including, burns, lacerations with or without tissue loss, fractures, tendon, nerve and vessel injuries and reconstructions. I do not undertake Clinical Negligence work. All information collected will be used solely for the conduct of the surgical and medico-legal business and will be kept according to current UK Data Protection regulation. 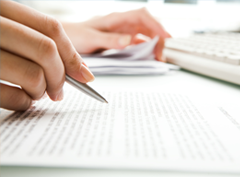 We will endeavour to contact you within 2 to 10 working days depending upon the complexity of your enquiry.